We’d love your help. Let us know what’s wrong with this preview of Fox and Birch by Sam Burns. While he’s already fighting for control of his own mind, he has to hold it togeth Fletcher Lane wants to protect people. It was why he became a deputy. A month ago, it was why he killed a vampire who kidnapped one of his friends. Now, that death has started a cascade effect that’s tearing his life apart, leaving him possessed by magic that whispers to him in ancient Gothic. To ask other readers questions about Fox and Birch, please sign up. This series has proven itself to be one of my absolute favourite reads of 2018. Seriously, loving it!!! This trilogy of trilogies is frequently reminiscent of so many of my much loved paranormal/fantasy themed books and TV shows, yet at the same time it feels like an entirely fresh and unique story. It highlights a lot of fantasy elements I adore, including (but not limited to) some seriously great writing and an intricate story arc that seems to be constantly building towards something bigger and potentially epic in nature and scope. My favourite element of Rowan Harbor is the myriad of supernatural beings that populate the ever-expanding cast of characters – everything from shifters, vampires, and witches are present, as well as less traditional creatures, though equally as fantastical, such as dryads and nymphs, to name but a few. Seriously, I could read about this town and its people all day and not tire of the magic of it all. I found myself consuming Fletcher’s story at an impressively swift rate, even more so than when I was devouring Devon and Jesse’s stories. I particularly enjoyed the romance that blossomed between Fletcher and new-to-town Connor. With Connor being an outsider and potentially one of the bad guys - don't fret, he wasn’t! - there was some conflict and intrigue here that maybe wasn’t as prevalent earlier in the series. Either way, I loved watching their initial relationship unfold and I can't wait to read more about these two later down the line. In my opinion, this third installment is the better story of this first trilogy. I felt the plot was tighter than those of the first two books, with a smoother flow, feeling a little less chaotic and cluttered with detail as the first books were. Although, an argument could be made that I enjoyed this one slightly more because of the detail provided in the first two stories, as I certainly now have a better grasp of the characters of Rowan Harbor and what they are facing due to the in depth background that was built in those initial stories. What this book excels at is the better romantic progression, the quicker reveal of plot details as it focuses on Fletcher, the 3rd main character of this unique series. The common theme so far is the journey these three young men must go through to further evolve into their destined potential, and for Fletcher, his path is not surprisingly easy. Here, Fletcher’s particularly stymied by the tragic murder of his mother and understandably, his trauma has prevented him from attaining his full shifter abilities and all the fantastical possibilities that entails. It doesn’t help that he’s been possessed by a magical entity that’s wreaking havoc on his sanity. So, when bounty hunters come to town looking for the missing (dead) vamp, their very presence further complicates things and puts everyone at risk. Somehow, Fletcher catches the eye of hunter Conner, and when that interest intensifies, dare he take a risk at revealing his, and everyone else’s secrets??? This was sweeter and nicely more smexy than its predecessors, and this easily kept my interest as more and more is revealed about quirky Rowan Harbor and its inhabitants. I don’t want readers and friends to get the wrong idea as 3.5 stars is a good rating from me. As always, I just wanted more despite knowing these first three books (out of 9 total) are obviously laying the groundwork for what’s to come. Again, consistent storytelling with a good amount of romance, while weaving magic and fate and most likely a big battle that surely looms ahead that will test everyone to their max! I look forward to that future delivery! So, yeah, I mistakenly read book 4 first. Oops. No matter, now I know how Fletcher and Conner actually met and fell for each other. PSA time kids: don't read these out of order. I love the fantasy elements and world building, and how each installment has another piece of the puzzle. I can't wait to find out what happens next. Note: The Rowan Harbor Cycle is a I am addicted to this series! Note: The Rowan Harbor Cycle is a series of 9 books - a trilogy of trilogies. The main characters (Devon and Wade, Jesse and Sean, Fletcher and Conner) will have their own book in each trilogy with happy for now endings until the final trilogy where they will finally (hopefully) get their happily ever afters. Gah! I can't believe I have to wait now! I could have just kept reading these, one after another. I can not wait, truly, to see what is going to happen next. I know the next three books are going to be quite a ride. I feel we were only just touching the surface with these introductions. This book seemed to be a little heavier than the first two. I am not sure if that is the right description or not but there was just something more about this one. It felt deeper. I had no idea how this was going Gah! I can't believe I have to wait now! I could have just kept reading these, one after another. I can not wait, truly, to see what is going to happen next. I know the next three books are going to be quite a ride. I feel we were only just touching the surface with these introductions. This book seemed to be a little heavier than the first two. I am not sure if that is the right description or not but there was just something more about this one. It felt deeper. I had no idea how this was going to work out but it did beautifully. I'm in love with this series and I keep waiting for the next book to be released so I can find out what happens next in the mysterious town of Rowan Harbor. It's an addictive series and I couldn't be happier to have the chance to read it. Fox and Birch is told from Fletcher Lane's POV. He's the deputy with the Rowan Harbor police force. The book picks up shortly after the last book and Fletcher is dealing with the consequences of killing the vampire that kidnapped one of his friends. Not only does he have mixed feelings about killing another being, but it seems that the spirit of the evil book has possessed him. And it doesn't ever stop whispering. Add in three strangers, three bounty hunters coming to town in search of the now dead vampire, and Fletcher has more than enough trouble on his hands. This book, or rather Fletcher, grabbed me from the very beginning. He was interesting and engaging. He's always been there in the background in the previous books, so I was pleasantly surprised when we got to learn so much more about him, about his past, his fears. I admired his bravery and fierceness, always wanting to do the right thing, saving others and always putting them before himself. Watching him come out of that shell a bit was beautiful. But even more wonderful to watch was how the whole town always stands together, protecting their own. Another thing that I really loved was the whole evil book / spirit. It was something completely new for me and I found it all to be very refreshing. I loved where Burns took this story point and I can't wait to find out more. It's all very mysterious, but also connected in some way. Chris Chambers is perfect for this series. He truly takes you to Rowan Harbor and bring the town and characters alive. He captures the essence of it all and holds you captive until the very end. I truly wish he will narrate the rest of the series, but I guess time will tell. These books don't stand on their own, but are meant to be read in order, otherwise you will be totally lost and the story won't make much sense. So far each book has had a different person, or couple as the main focus, but the overall story is the same and continues on with every book. Not in the sense that there are much of a cliffhanger ending, only that you know that the story is unfinished, there is more to find out, more things to resolve, so far we are only in the beginning stages of something much, much larger. I'm a bit sad that this is the last of the audiobooks for this series, at least so far. I've loved listening to all three of them and would happily continue to listen to the rest of the series. I've read somewhere that Burns do plan to release the rest of the series in audio as well, but that he doesn't have a time frame for it. Am I selfish if I wish we don't have to wait too long, because I need to know more. Highly recommended to anyone looking for a great paranormal series that truly stands out from the crowd. The story picks up right after the second book ends. Fletcher, instrumental in getting rid of the bad vampire, is now sort of possessed by the spirit that lived inside 4.5 stars!! Directly following the events of book 2, Fox and Birch is focussing on Fletcher, the police officer and partner of Wade, mate of Devon we've met in book 1, Blackbird in the Reeds. I really liked how Fletcher was fleshed out right from the start. We know he is a fox shifter and a pretty timid guy; he seems to have a low self-esteem and belittles himself pretty often within the former books and this. He doesn't see his full potential so I really enjoyed this journey. More and more, with the others around him, he is aware of his role, of his influence and what he means to other. This book is especially emotional because of the deeply personal note for Fletcher. He is meeting his mother's murderer, within a group of bounty hunter coming to the town, and has hard times to devide his upcoming feelings for one of them - Conner - and is in a dilemma. The fact that he is also dealing with a talking book in his mind isn't helping either but soon we have suprising revealings in this corner. I liked how we got more and more the information about the magic going on in Rowan Harbor; more and more the elements which were in the beginning confusing are becoming now clearer, the different people with their unique roles are getting more focus and the higher purpose become visible. 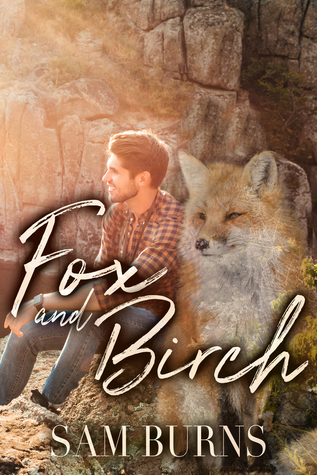 Out of the first three books -- of nine books in total, the rest of the series will be released later -- from The Rowan Harbor Cycle, Fox and Birch is so far my favorite. Probably because in this book, rather than dealing with the 'mythology' surrounding Rowan Harbor, it focuses more on Fletcher Lane - the 24-years-old sheriff’s deputy fox shapeshifter - the aftermath of the previous book ((view spoiler)[where Fletcher killed Solomon White the vampire, and ends up somehow with the book's magic in his consciousness (hide spoiler)]), and the appearances of three bounty hunters to Rowan Harbor, with one of them being the murderer of Fletcher's mom. Based on the three books, I think Sam Burns' strength (in this series) is more on the relationship development rather than the urban fantasy world built. I really LOVED Fletcher; I thought he was PRECIOUS. The progress of his relationship with Conner -- even if it was still as fast as speeding bullet, urgh! -- was wonderful. With the town being VERY protective of Fletcher, it also provided entertaining moments when Fletcher and Conner tried to navigate their attraction with the fact that Conner was one of the bounty hunters. OMG this is my favourite so far. Fletcher and Connor are an adorable couple. While I enjoyed the first two books, this one was my favourite. This far into the series we're aware of Rowan Harbor and it's reason for being, and that means this book requires far less world building, so we can concentrate on Fletcher's growth and the ongoing story. For the reader the story is much more open. This is not a criticism of the first books: in Blackbird Devon didn't have a clue about the goings on in Rowan OMG this is my favourite so far. Fletcher and Connor are an adorable couple. For the reader the story is much more open. This is not a criticism of the first books: in Blackbird Devon didn't have a clue about the goings on in Rowan Harbor and his confusion was passed to the reader. In Wolf Jesse refused to admit to his responsibilities and his past, to the extent that he excluded the reader. Here the story is easier to follow, we know who Fletcher is, and his tragic backstory. We know of the events that have led to this point and the problems the town is facing. Most of the side characters are already know to us, so it just the intruders that are new. Talking of the intruders, the romance in this one is much more developed. And it's absolutely lovely. I adore Fletcher and Connor. Until I can come up with my own review I have to say that I completely agree with Ami's review. She said it perfectly. Maybe there is one thing that doesn't sit right with me: why is Fletcher so dismissive about his fox. It's something I like in shifter stories: that the "character" of the animal is showing also in the human form. Here Sam Burns only sees the cuteness while in reality a fox isn't only a secondhand predator. This is the third volume in the Rowan Harbor Cycle series and is not meant to be read as a stand alone. It picks up right on the heels of book two as Fletcher’s story takes over where Jesse’s left off. Of all three books, I think this is the one I liked the least, though I did still like it. In this book there’s a lot of plot, a lot of world building, but the emphasis is placed upon Fletcher and Connor’s growing relationship. Like the others, there’s a love at first sight A Joyfully Jay review. This is the third volume in the Rowan Harbor Cycle series and is not meant to be read as a stand alone. It picks up right on the heels of book two as Fletcher’s story takes over where Jesse’s left off. Of all three books, I think this is the one I liked the least, though I did still like it. In this book there’s a lot of plot, a lot of world building, but the emphasis is placed upon Fletcher and Connor’s growing relationship. Like the others, there’s a love at first sight element, but it just didn’t work for me as well this time as it did in the previous books. Fletcher and his father are relatively new arrivals to the town, and while no one knows about their tragic past, they can certainly sense that the two men are hurt and hurting. When they finally do learn about Fletcher’s mother, they rally around the two of them, protecting them as best they can from the bounty hunters. It’s touching and it’s sweet to see how the town comes together to never let Fletcher or his father be alone with Bob — or even in his company. When it’s clear that Connor is as interested in Fletcher as Fletcher is in him, the town waits to see what Devon has to say on the matter, but … even then they’re still not willing to sit by and let Fletcher be hurt. They make it clear to Connor that they’re watching him, and one wrong move will be his last. I love the quirky nature of the stories, the paranormal aspects of life in Rowan Harbour are just treated as everyday things, no one bats an eye when one of the Deputy Sheriffs shifts into a Fox and runs off, or when they're talking to a dryad in the woods. There's a gentleness to the narrative, even when things turn occasionally violent, that brings a whimsical feeli I bloody love this series but if you asked me to identify quite why I do, it would be difficult to immediately pinpoint the reason. There's a gentleness to the narrative, even when things turn occasionally violent, that brings a whimsical feeling to the story that I've mentioned before and the writing is just beautiful. In this, the last of the 'intro' books in this series of nine (a trilogy of interconnected trilogies), we get Fletcher's story and his meet cute with Conner, who's come to town with a couple of unsavoury characters tracking the vampire Sol, who was the main antagonist in book two. There's instant attraction but given the nature of all that is going on, Fletcher is too reticent and worried about his own fate to notice how much Conner likes him, but also how out of place he is with the other two men he's travelling with. The plot travels along at a good clip, there's no unnecessary detours to distract from the main story and the action is perfectly paced to drive towards the big end of book epic confrontation. I can't wait for book four, when we go back to Devon and Wade and also find out a bit more about the over-arching storyline which is anchoring all the books together. 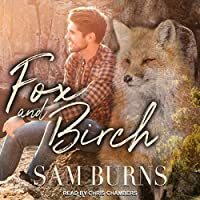 Fox and Birch is book 3 in the Rowan Harbor Cycle series and it absolutely can't be read as a standalone as there's an ongoing storyline, so just pick up the three of them, they're really good and the series is updated every month or so, with no cliffhangers, so it's not like you have to wait too long for the next installment. I've been waiting for Fletcher's story, since the first book. He's such a sweet, kind, unassuming guy that I just couldn't not fall for him, especially after I l 4.5 Stars! I've been waiting for Fletcher's story, since the first book. He's such a sweet, kind, unassuming guy that I just couldn't not fall for him, especially after I learned of his backstory. *cuddles Fletcher* Conner was lovely, too, despite his association with the bounty hunters that appeared in Rowan Harbor, he always seemed like a nice guy, very smitten with Fletcher. He was kind of adorable in the way he pursued Fletcher, not that Fletcher was all that difficult to catch. ;) Their chemistry was amazing and I was very happy that we got to see more of them together than we've had with the previous couples. The ongoing storyline was interesting and I was glad to see that Hector finally made an appearance. I'm intrigued by how it will play out from here on out, considering there are still 6 more books to go. Overall, this has been my favorite book in the series so far! It was a fantastic, engaging read featuring a couple I adored. I'll be looking forward to seeing more of them in the next installments! Fox and Birch by Sam Burns. Book 3 in the Rowan Harbor Cycle. This book is a continuation of books 1 & 2, but the MC is Deputy Fletcher "The nice cop" from the previous books. This story is about Fletcher's struggle with his own natural magic of being a shifter and this new foreign magic from the "evil book". He's also dealing with his mother's murderer showing up, an "untrustworthy" love interest, taking lessons from Oak on how to focus and become what his mother always told him he could be. All while trying to protect the town, especially his own father. I really enjoyed Fletcher's story and I like that each story includes the characters from the previous books, I want more. I'm looking forward to the next six books in the series. This series, what I could consider mystery/suspense with some romance added, has grown on me. I really enjoyed getting to know Fletcher in this story and I want to continue with the series to see where everyone's character arcs lead. Fletcher is a deputy. He accidentally killed a vampire who was trying to steal a powerful, probably evil book. Nothing goes as planned, as seems to be the way in Rowan Harbor. The book winds up inside of Fletcher. Talking to him in what sounds like German. Stressing him out completely. While his friends are trying to find a way to separate him from the book he continues working. Into the station walks his worst nightmare. The hunter that murdered his mother and his two friends come to town search Fletcher is a deputy. He accidentally killed a vampire who was trying to steal a powerful, probably evil book. Nothing goes as planned, as seems to be the way in Rowan Harbor. The book winds up inside of Fletcher. Talking to him in what sounds like German. Stressing him out completely. While his friends are trying to find a way to separate him from the book he continues working. Into the station walks his worst nightmare. The hunter that murdered his mother and his two friends come to town searching for the vampire. Fletcher, terrified, manages to control his feelings. One of the hunters, Connor, interests him, which is all wrong. Connor is also interested in Fletcher. Instinctively knowing that something is different about the town and that Fletcher might just be for him. We learn more about the town and it's inhabitants. I'm especially fond of Oak. This series is very intriguing and I'm enjoying it immensely. Dive in, but start at the beginning. Loving this series still. Listened to the audio. A big mystery is wrapped up and I'm curious where the rest of the series will take us. The narrator is pretty good. Will listen to him again. 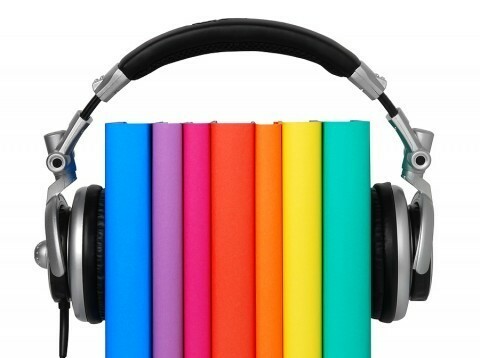 Listened to audio 5* on everything, can't wait for the rest of these books to come to audio. I am enthralled with the world Sam Burns has created in Rowan Harbor. Intricately detailed with such interesting characters I am always sorry when I’ve reached the end of a book. This series is a ‘trilogy of trilogies’, three sets of books where each couple gets their own book in the trilogy but all of the books are connected. All of the characters are present but the main focus is one one couple. Each couple has had their meet & HFN so far in these first three books. I’m torn though, of the I am enthralled with the world Sam Burns has created in Rowan Harbor. Intricately detailed with such interesting characters I am always sorry when I’ve reached the end of a book. Let me start by saying if you haven’t read this series yet, do not start here. This is the third book in a trilogy of trilogies—basically, what will eventually be nine books total—so this particular installment wraps up the first trilogy, but there are still six more books to go and this absolutely can’t be read as a stand-alone. So far I haven’t been disappointed with anything I have read by Sam Burns and so I immediately jump on the next available book and have been lucky enough to get all of t Let me start by saying if you haven’t read this series yet, do not start here. This is the third book in a trilogy of trilogies—basically, what will eventually be nine books total—so this particular installment wraps up the first trilogy, but there are still six more books to go and this absolutely can’t be read as a stand-alone. So far I haven’t been disappointed with anything I have read by Sam Burns and so I immediately jump on the next available book and have been lucky enough to get all of them in this series. I do a little internal (and sometimes even an external) happy dance, because I know I am about to reconnect to the amazing town of Rowan Harbor. Fox and Birch surrounds Fletcher, Wade’s partner and a deputy with the Rowan Harbor police force. I have been waiting for this book for what seems like forever, but really it was only since the first book. It just felt so much longer since I immediately fell for the big and quiet deputy and wanted to know more about him. In the second book, Wolf and Holly, a little more came out and I just fell harder. Fletcher’s story picks up pretty much right where the second book left off. He is struggling to figure out what to do about a little problem—the whole “being possessed by magic” that is freaking him out—and at the same time, he ends up having to confront his past in ways he never imagined. Conner Mason brings with him a whole set of complications in that Fletcher can’t trust him, but for some reason he is drawn to him. This book really focused on Fletcher finding strength in himself, overcoming doubt and shedding his past fears to embrace who and what he was meant to be. With each passing book it was clear Fletcher was shy and had a difficult time trusting people and reaching out to find friendships and bonds. Yet it was equally clear he desperately wanted to not be so lonely, and he desired acceptance and friendships. He started on the path of building those bonds in the first two books, but here is where they solidify and strengthen. Sure, there is the budding romance with Conner, but, more importantly, the story surrounds him facing his mother’s murderer and breaking through his own shields he has built around himself, eventually finding his place. What I love about this series is it is slow building; the foundation for each couple is set in this first trilogy. Though they are quick to fall for one another, they don’t rush the relationship and the romance isn’t fully explored, as the characters’ focus is usually split by something else happening. The mystery and suspense tend to take the front seat as more clues are dropped and a bigger picture is being formed. There are definitely clues something huge is coming, and each of the main characters introduced have a role to play; some make sense and their roles seem clear. Devon and Jesse are fleshed out to me on their strengths and their importance in whatever they will be facing. But characters like Fletcher, Wade, Isla, Conner & Sean are still slightly unknown to me, along with many of the other secondary characters who seem to be a part of everything, like Max and Oak. Their paranormal abilities are identified to some degree, but how they fit into the puzzle has not quite coalesced into a clear image, and each time a new crumb is dropped, I find myself shifting things around in my head trying to make it fit. As I progress with the series I find myself more and more drawn to Oak and their way of thinking and communicating. There is quite a bit more of Oak in Fox and Birch, and it made me supremely happy. The wisdom, insight and patience of the dryad really draws me in and I find myself picking apart their words. My one issue so far has been that both in the last book and this one, the romantic partners haven’t really been quite as drawn out. Conner, much like Sean, is more of a mystery to me than even many of the secondary characters. Basic information of their past is given, but I feel a little less connected to them as individuals. Hopefully in the next trilogy more information is supplied so I can connect a little more. Fletcher’s story was a great addition to this fabulous series, and I can’t wait until the second trilogy comes out. Can I just say how happy I was to get to review this installment in the series? Another reviewer has been reviewing the series but because of RL events, he gave this one up. I’ve been reading the series since the first book popped up on my recommended line at Amazon and I’ve loved all three. In this latest installment our story turns to Fletcher, the unassuming nice cop that offsets Wade’s by the rules cop. We had heard of Fletcher tragic past previously, but now we delve into it fully when three ‘hunters’ show up in town looking for that vampire that Fletcher killed in the previous installment. To make it worse, one of them is the very same man who locked the RV door and burned Fletcher mother alive all those years ago. I really enjoyed getting to know Fletcher and his new love interest. No spoilers there though. The only thing that made me kind of sad was what happened to the boy in the book. I had so hoped for a different outcome. I highly recommend the book, but you must read them in order, so if you haven’t gotten started now is a good time. I’ve been reading them with my Kindle Unlimited account. Either way, pick them up. I’m sure you won’t be sorry. I understand the setup for this series, and I think it's really neat, but I can't help but to wish they were just a little longer. Burns do get a lot of emotion and substance in to each book though, despite the shortness. I am so excited to see where Burns is taking Conner's story. Easily my least favorite of the Rowan Harbor Cycle, so far. I was able to buy the instalove between Devon and Wade as well as Jesse and Sean (because of the werewolf lore) but it just doesn't hold up when it's simply of the "I saw you and instantly wanted you for no apparent reason" variety. There wasn't any tension between the character, sexual or otherwise, which is a feat in itself considering the setup. Fletcher was able to see Conner as a good guy way too easily, all things considered. This book in one sentence: Small town cop Fletcher is a shapeshifter trying to fight an evil magic possession, while a nightmare from his past threatens Rowan Harbor. My recommendation:Just read the whole series folks! All of the three main characters are great and well-developed. The setting and supporting characters are fun and there is every kind of supernatural creature living in the small town.